Our own Gino Scamardella was proud to represent Pytha Partners as ninth hole sponsors at the ASOFIA QLD Division’s Golf Day on the Gold Coast last month. Queensland Members enjoyed a fantastic afternoon on the Parkwood Golf Course – huge thanks to the Australian Shop & Office Fitting Industry Association and the Queensland Committee for a great day out. 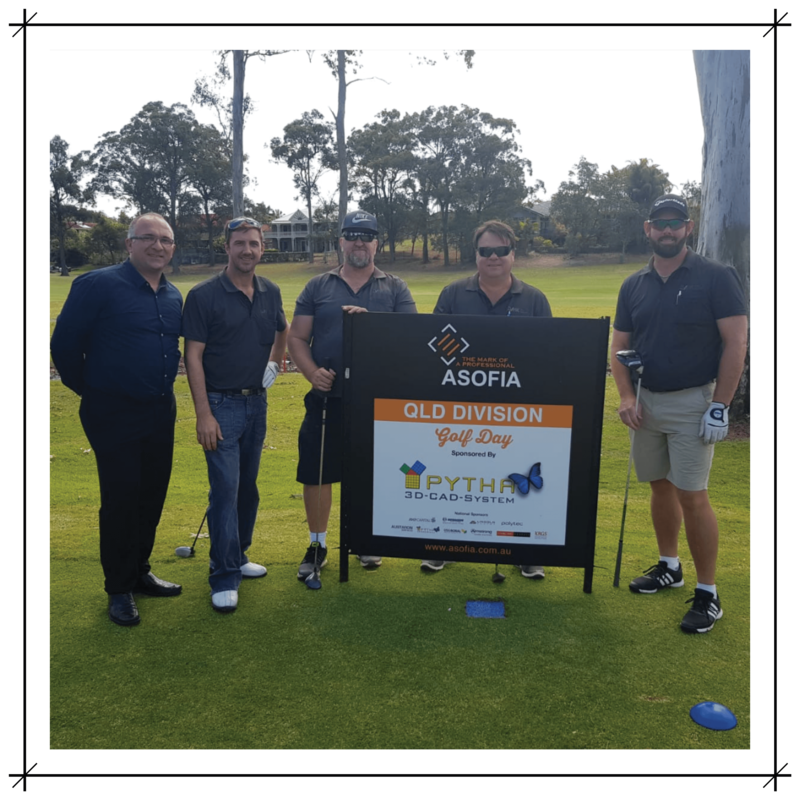 Michael Rowe dusted off his clubs for the ASOFIA NSW Division Annual Golf Day later in the month, where Pytha Partners were proud to sponsor the fourth hole at the Stonecutters Ridge Golf Club. While Michael worked his way around the green, Tam and Gino were in charge of the oranges and causing all kinds of chaos. The citrus smiles and fruity fun was all in the name of a very good cause, with the NSW Division proudly supporting CEO Sleepout with funds raised.